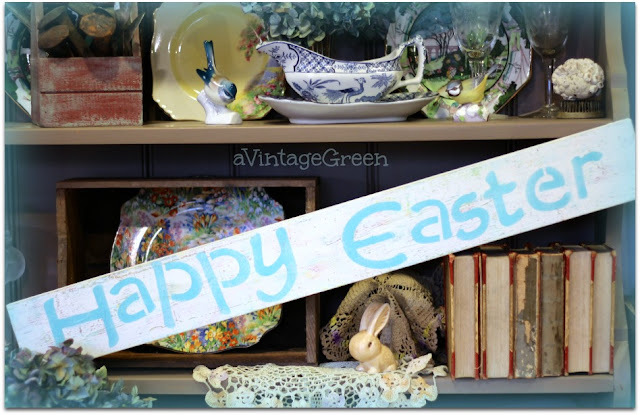 a Vintage Green: What do I suggest to someone wanting to be a seller (dealer) in a collectibles/antiques mall? 8. Be sincerely nice to everyone. Say positive things to other dealers, resellers and customers. Don't take cranky people seriously. Don't be a phony. Today a picture of teapots from my mall space. These are all great tips! I agree, price fairly. You don't want to have a museum. Also, great to change things around. It feels like you've added items or people notice things that may have been overlooked. Love your space and collectibles! Great vintage fan, I see in your header! Great advice. I try to follow these rules and I see so many that do not. Most of all I agree that we need to be fair and honest and kind. This business can be cut throat with some dealers but I never want to be a part of that. I love your space and your beautiful pieces. Thanks for sharing! You gave us some great advice!!! Thanks Michelle, Sissie and A Vintage Vine for your kind comments. I hadn't realized I would have so much to say on the topic of being a dealer in an antiques/collectibles mall. That is great advice Joy. You obviously know what you are talking about and I am going to assume do well with your sales due to the time you have taken to learn your trade. Great pictures! Will start having garden sales with my open gardens this year. I'm always finding incredible things & want to make sure they get into gardener's hands.